A dear friend and I were talking about all the things we learned in our grandmothers' and aunts' kitchens when we were little girls. The conversation led to salt and everything they did with it. And talk about coincidence, I just opened my latest issue of Mother Earth News and there was an article discussing the very same thing! Now to avoid getting in trouble for plagiarism, I'm giving full credit for this information to this terrific publication. 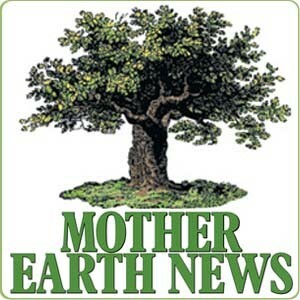 Below is Mother Earth News' "12 Uses for Salt in the Kitchen" as reported by Malinda Fillingim. But I'll just say this: There's nothin' new under the sun-we were doing these things long before Mother Earth News was created. Our grandmas and our aunts were the founts of kitchen wisdom, wouldn't you say? 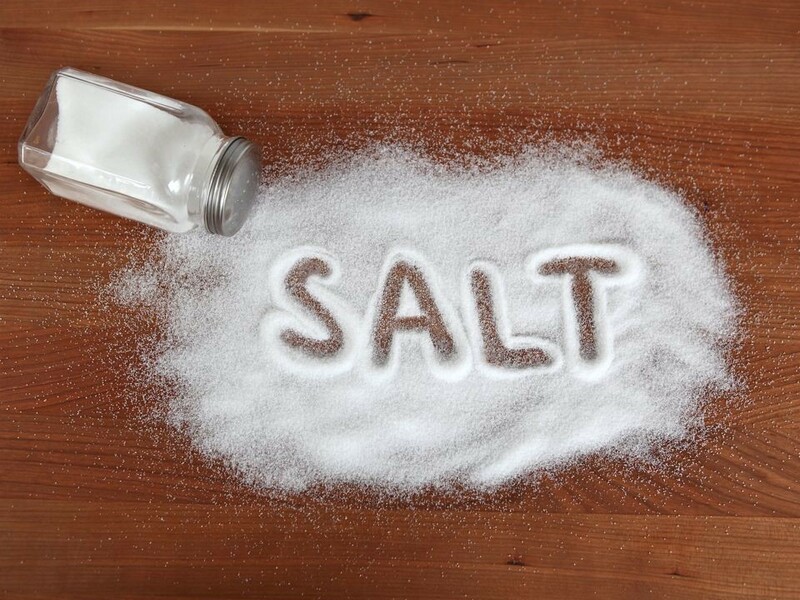 But in case you're not a Mother reader, or in case you don't already know these things, take a look at how salt does way more than season food. It can be a real work-horse! 1. You can sprinkle salt on frying pans to prevent fish - especially skinned fish - from sticking to the pan during cooking. It adds flavor as well. 3. And still more fishy advice: Rinse pans used for frying fish with salt water before rinsing them in fresh water to get rid of any lingering fish smells. 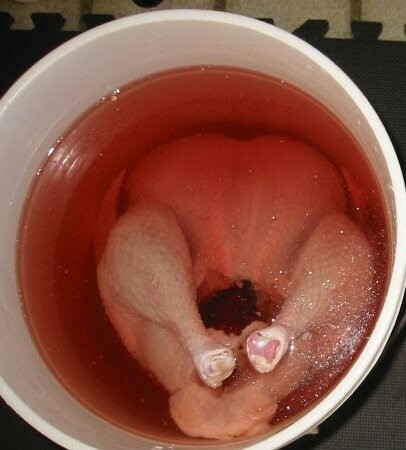 You can soak your turkeys, chickens, and beef roasts (especially the tougher cuts) in salt brine before roasting. The brine tenderizes everything it touches. 5. When cooking corn on the cob, be sure to add salt to the water after the water starts to boil; the corn will be softer doing it this way. 6. And here's a secret all the great restaurants know: Before baking potatoes, soak them in lukewarm salt water for 10 minutes before baking. You'll have softer potatoes that bake faster. 7. When making pickles, you'll want to avoid iodized salt, which causes the pickles to darken. Use plain salt instead. Have you ever fried apples? Delicious! 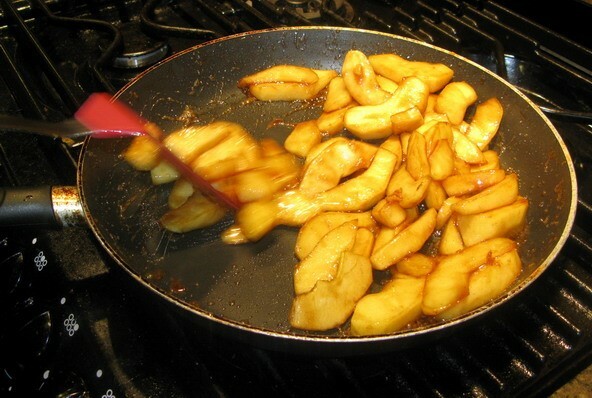 But be sure to add a dash of salt to the pan before frying them because it will leave the apples a bit more candied. 9. When poaching eggs, do it in salt water. This makes the egg whites firmer. 10. You can easily and safely scour kitchen and bathroom sinks and tub with salt and a dry terry cloth. Rinse the surface with water then sprinkle a good amount of salt on your cloth and scrub. You'll have sparkling clean porcelain and stainless steel without having scoured away any of the surface finish, the way powdered cleansers do. 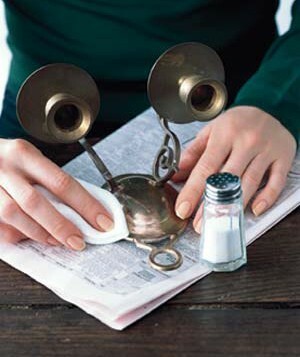 And you can clean sliver and knives with salt to keep them from tarnishing and rusting. 12. Finally, we all know about aromatic bath salts, but mixing salt, sugar, and cornmeal with honey makes an exceptional homemade facial scrub as well. I add a smidge of coconut oil to it also. Skin is radiant with this technique! I'm sure we've only scratched the surface as far as all the things we can do with salt. What are your uses for this versatile seasoning?